Find out more about the schools here where you will find links to information about past schools in 2016 and 2017 held in Trieste and São Paulo. Four advanced and thematic workshops on Research Data Science will run in parallel. 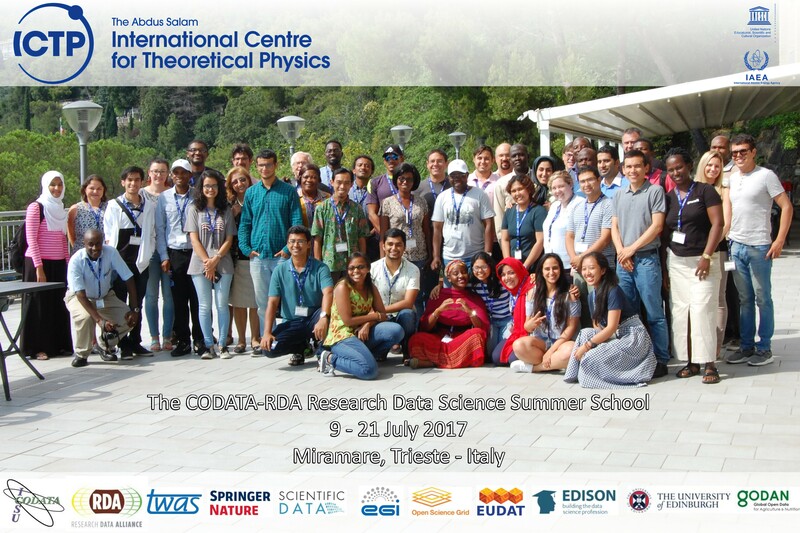 Workshop on Extreme sources of data: Introduction to CERN LHC and ATLAS Experiment. Hands-on sessions will include python coding and tutorials on using the ATLAS Open Data Platforms/Tools. Workshop on Bioinformatics: Advanced hands-on-tutorials on computational methods for the management and analysis of genomic and sequencing data. Workshop on Climate Data Science: Cloud computing platform/ tools for Climate Data Sciences including integration and visualization of on-line and local datasets. Hands- on sessions will focus on using on-line high performance platforms and tools for Climate Data Science.